In the morning on July 7th, Ms. Nguyễn Thị Tuyết – Vice chairwoman of Việt Nam Women’s Union visits and works with Cần Thơ city Women’s Union. Cần Thơ city Women’s Union informs conference of Women’s Union at all levels for 2016-2021. There have 85 communes, wards, towns and Ninh Kiều district finished the conference at district level. 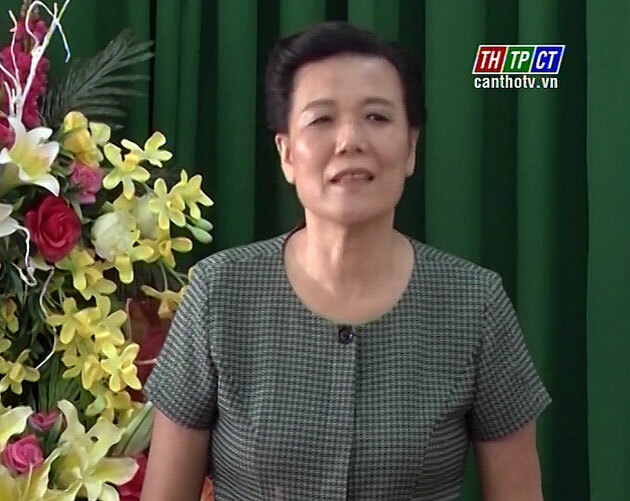 Ms. Nguyễn Thị Tuyết expresses happiness with attention of the City Party Committee and the City People’s Committee, Women’s Union of the City that built new headoffice, gained effectively achievements in big movements and preparing for the city Women’s Union delegate conference and contributing document for the 12th National Women Delegate Conference.